Because of the way the world is trending with different mobile Internet technologies today, there are many website designers out there looking for work. It’s an incredibly vibrant market, primarily because the number of people and businesses who need websites designed far outweigh the actual number of designers. However, it’s difficult to really get your message across. If you’re a designer, how, exactly, do you go about informing potential clients of your talents and abilities to create for them a high-end website? This is where a request for proposal for website design comes into play. 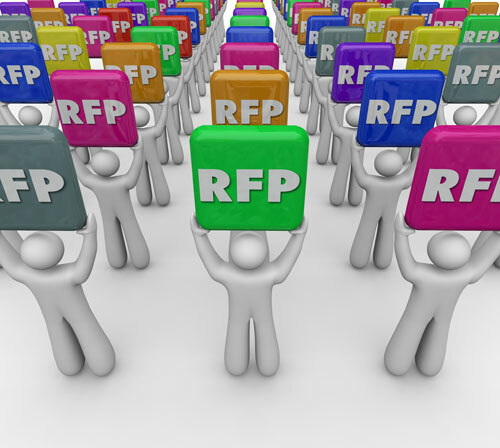 Throughout the article below, we will discuss different categories of information to include in your proposal, different tips on how to write a RFP, and even tips on creating a great call to action to get interested readers to follow through with contacting you. There are many do-it-yourself site-building template services out there, but most lack the capacity to actually construct a vibrant, feature-rich site. Not to mention that most of these services will not even allow for a custom web address, unless the individual pays a large price tag – which, if someone is paying money for, they might as well get the most out of it. Explain in any request for proposal in web design that those DIY avenues are very short, inherently complex, and are not customizable. When pitching a RFP for web design, two incredibly important categories—perhaps the most important categories—to touch on are that of overall budgeting and time. People want to know how much it is going to cost them, and subsequently how long it will take until their project is finished. You must be adept at the art of appraisals and quotes. For instance, if a person wants a website to sell eBooks, with a built in forum for customers to start a community, it’s your job to assess everything you may need to complete this site and to quote the individual an amount of money for the job and the amount of time it will take. Make it clear in your website request for proposal that a website is the number-one way to accomplish branding online. When you think about a huge name in the market like Apple or McDonald’s or Coca-Cola, you think about their overall brand just as much as their products. It’s their logo, their commitment to customers, the different forms of advertising they have, etc; they brand better than anyone else. Make the point that a professional website not only implements professional and attractive design elements that will come across as professional and user-friendly, but that a website also ties in to social communications online and allows a company to brand itself. Most people who would be so inclined to consider having a website built for them do not understand much about web hosting. A great way to gain traction with your RFP for web design is to go into some detail about the importance of a quality web host. For instance, if the individual would like to have streaming videos on their site, or build a user community in a social network-style site, they will need a specific web host offering these types of features. As the designer, you can really show your expertise by explaining the intricacies in web hosting packages, explaining what uptime means, going over security measures, and other pieces of vital information that convey the importance of a premium web host to the individual. How much does the average person know about website functionality? As the designer, you are tasked with relaying this information in a consumable, palatable way. For example, we live in an age of mobile computing, and it may only be a decade before the vast majority of all Internet communications happen via smartphones and tablets. In your request for proposal, address the emerging mobile market and make an effort to accurately explain why today’s websites need responsive template designs to work across a range of platforms, and also why various design elements need to be multi-format (e.g. Flash isn’t Apple-friendly, and not all script languages work the same) in order for a website to provide the same user experience regardless of from which device a person accesses the site with. In your RFP for web design, one of the key aspects you can touch on and really flesh out is the category of search engine optimization, or SEO. The average person does have at least a rudimentary understanding of this concept, as they understand that the keywords they search via search engine retrieves specific results. However, what they may not realize is just how important keywords and proper optimization structures are to their site’s success. Explain the importance of locally registering a site, providing fresh content, finding keywords that are competitive without being saturated, and how to tag and cluster accurately for search engine spiders to actually grab onto the website rather than reading it as spam and pushing it to the back of the pack. Don’t worry about coming across as too technical sounding; it’s okay if the proposal sounds complex in its explaining of things like SEO—and other site design elements—because this will drive the point home that the do-it-yourself route is perhaps not the best way to go for the individual. Another way you can work to garner interest in your request for proposal is to address the issue of site maintenance. Think about selling someone a new car from a lot. Sure, you can pitch the car as a great piece of machinery and get them interested in driving it home. But what guarantees are you offering if the car happens to break down in a month? 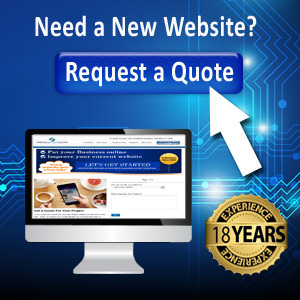 You will not have to offer a similar type of warranty per se, but you should make it clear that you are willing to perform basic site maintenance, and maybe even act as a web master (for an additional fee) so that the site runs smoothly and without issue. Do not pressure anyone into a click or action; use a basic call to action at the end (example below) by piquing interest and curiosity. Again, edit, edit, edit! Why would someone trust you to build a website if you can’t even spell? Have you ever seen one of those weight-loss programs online that have the incredibly long single page of text? You keep scrolling and scrolling looking for a price, but the sales pitch never ends! Every other line, you’ll find words in bold, caps lock, red font, with a dozen exclamation points: “YOU NEED THIS PRODUCT!!! !” OK, simmer down! These types of proposal pages are incredibly common with weight-loss products, Forex, and a wide range of work-from-home scams. The problem—well, one among many—is that they seek to sell too hard! If you write a proposal using the information provided here thus far, you don’t have to scream at people. As long as you’re addressing a problem, offering a solution, keeping things concise, palatable and readable, you will earn someone’s attention if they want a website built. Then all you need to do is close with a semi-strong call to action. Example: “If you would like to know more about how you can have a professional website built for you today, click here!” Any subtle variation of that, whether you want to change the site pitch or emphasize a particular company, is golden if the reader is already interested. Keep things clean, tight, and professional, and those so inclined to have a website built will seek you out for more information. This is where the actual sales pitch will come out.